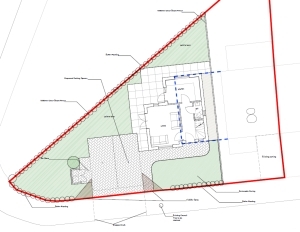 Bournemouth Borough Council: Darryl Howells has secured an appeal win against Bournemouth Borough Council, to remove a side extension to the existing house and erect a detached new dwelling. The scheme originally drawn by DOT Architecture and submitted by them, was refused planning permission on the grounds that the scheme was harmful to the character and appearance of the surrounding area; and would harm the living conditions of neighbouring occupiers. Following the refusal of planning permission, the client approached Pure Town Planning, but specifically requested Darryl handle the appeal, as he has extensive Local Planning Authority experience, which the client considered would be relevant to overcoming the reasons for refusal. In the submissions on behalf of the appellant, Darryl convinced the Planning Inspector that the character of the area was post-war housing, primarily semi-detached dwellings but more recently infill development of detached houses had occurred and materially changed the character. 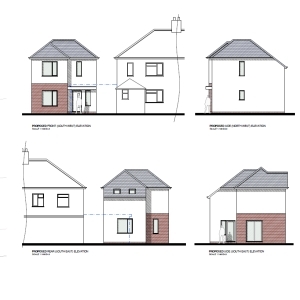 The Inspector agreed that the positioning of the proposed dwelling would be closer to the junction however not materially harmful and that the pattern of surrounding development could accommodate the additional dwelling. In respect of the second reason for refusal, the Inspector accepted the arguments that Darryl made, in that visibility of the dwelling from neighbouring properties would not constitute material harm, and that the positioning of windows would respect neighbouring privacy. If you have received a refusal of your planning application, please contact Pure Town Planning to enable us to suggest a planning strategy that could overcome the refusal at appeal or through a revised planning application.